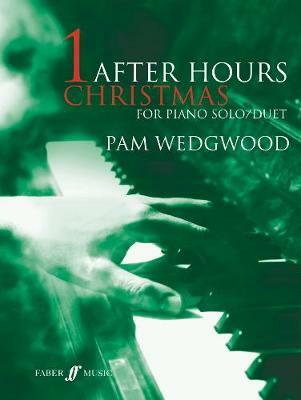 With a variety of original pieces and arrangements of classic carols from Europe and North America, After Hours Christmas, arranged by Pam Wedgewood, contains styles to suit any mood: Away In A Manger as a laid-back jazz waltz, The Angel Gabriel and In Dulci Jubilo as wistful ballads, and a bossa nova version of Ding! Dong! Merrily On High. The compilation also contains a mix of piano solos and duets for you to enjoy on your own or with friends and family, arranged for the grade 3-5 pianist. So conjure up the magical atmosphere of Christmas and relax with these lush harmonies and well-loved melodies.